Being an only child, I have a lot of fun by myself and do some pretty immature things for my personal amusement. I sometimes make up words to songs I’m listening to and even sing to them in a foreign language that’s unrecognizable because it’s made up. I also talk to myself and find I’m actually good company. Maybe you don’t see the humor in this, but the only child in me thought it was funny and quite witty. 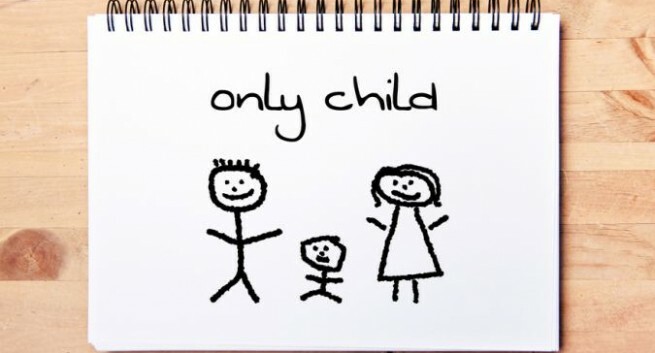 Although I act immature at times, and have “only child syndrome“—a term that is actually real. The growth I’ve experienced in my sobriety has done more than just allow me to laugh at myself. It has also enabled me to love myself. I never thought about whether or not I loved myself as a child. (Maybe that’s just part of being one.) But I know I didn’t love myself as a teenager, and certainly not as an adult. It took several years of sobriety and the growth I mentioned to achieve self-love. And even then it took a couple of more years to be happy with who I was. An only child who not only finds them-self to be good company. But someone who has learned to find humor in things that aren’t worth getting upset about. An emotional excerpt from my book. I was writing about an AA speaker’s meeting in 2004, where I shared my story to celebrate my eighth year anniversary sober. “I would also reach my eighth year sober that month and once again share my story. This time, however, not only was my wife there, but my daughter as well, and it would be a very emotional day for me. I was fine in the beginning, but when I got to the part about how I often chose drinking over being with my children, I began crying and had to stop for a few seconds. I was still quite emotional as I told everyone that despite this, my daughter was still a daddy’s girl when she was little, and after explaining how this changed as she grew older, I once again had to stop as I sat there and cried. I finally regained my composure, and confessed how sorry I was for not spending more time with both of my children, and then talked about other regrets I had because of my drinking. Although my daughter and son weren’t exposed to every argument I started with my wife, they both heard more than they should have growing up, and as I was telling them this, tears once again came to my eyes. Other people started crying too, including my wife and daughter, and after a few moments passed, I went on to explain how my drinking had affected the whole family. I also shared what my daughter had recently said about my drinking and the impact it had on her personally. She moved out when she was 18, and she said it took her a few years to come to terms with certain things from her childhood. I then added that what was important to me now, was that she had forgiven me, and that my relationship with her and my son was good today. I then went on to say that I believed this was made possible because of how the Twelve Steps helped me stay sober and change as a person, and explained how this change also helped me believe in the possibility that something created life and the universe for a reason. After that, with time running out, I pulled a piece of paper out of my pocket and told them that another reason I believe what I do is because of this poem my daughter wrote for me last Christmas. I then cried a little as I added that even though she may never be a daddy’s girl again, this poem shows she loves me and has forgiven me. We don’t have to grow spiritually to love ourselves and be happy in life, but it can help us have an open mind. Having an open mind can help us understand ourselves and our behaviors better. When we understand ourselves and why we do some of the negative things we do, we can change those behaviors and grow as a person. Growing as a person can also help us have an open mind. Having an open mind can help us understand others and their behaviors better. When we understand others and why they do some of the negative things they do, we can have more empathy and compassion for them. Having empathy and compassion for people can help us grow spiritually. We don’t have to grow spiritually to love ourselves and be happy in life, but it can help us love others and be happy with who we are.